Snow finally made it's way to us here in Virginia. I have been wanting to get a really good snow fall and it came at the right time, on my birthday! The weatherman was calling for 8-10 inches of the white stuff. When it was all said and done, we had got about 7 inches. Not really a great snow for snowman making but great for sleigh riding. So we ventured out and tried to make the best of this snowy day. 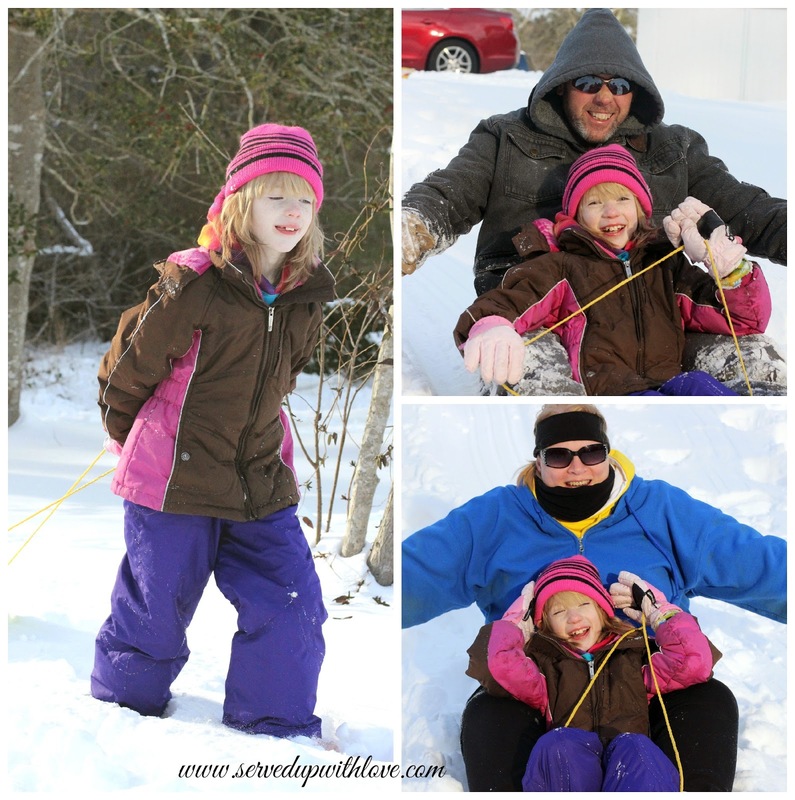 Our yard is one big hill and the only thing that is good for is sleigh riding. We have plenty of crazy hills around us but it made it nice not to have to walk too far in the snow just to have a little fun. Our daughter was extremely happy and couldn't wait to get out in it and play. She actually ventured out before we did to enjoy it. As most of you know, my husband had a heart attack back in December. Life has been anything but normal for us here. So to get out and get some smiles and laughs was priceless. The only thing missing was our son. I guess he is too old to come out and play in the snow with us. He missed a great time! I love to watch the birds. 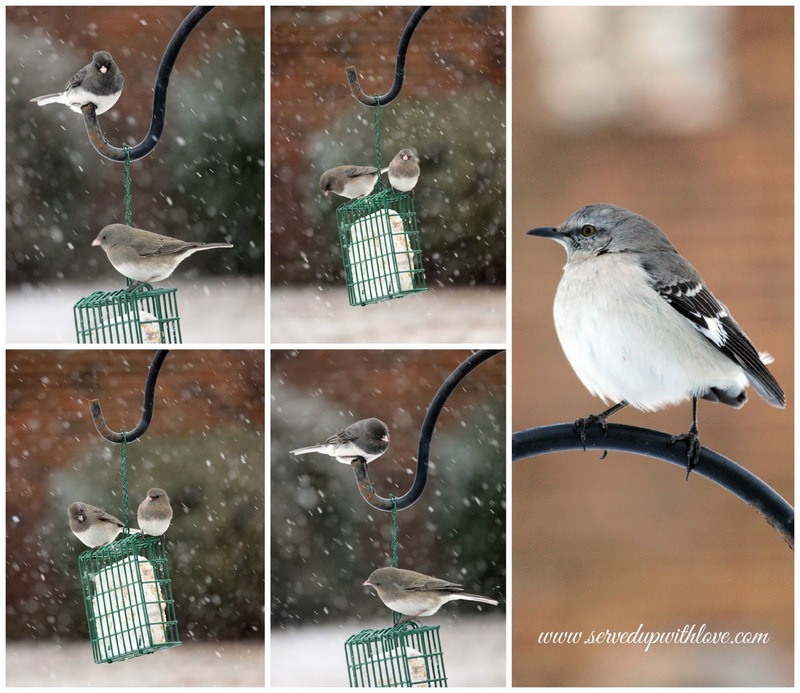 We set up bird feeders outside our living room window so that our cat would have something to entertain her. I think I am enjoying it more than her. I have to admit, I have never had snow cream before. What? I know, crazy right? My husband has talked about it for years but I had never ventured to make it. Since it was my birthday and all, I thought, why not? Seriously, this stuff is good! 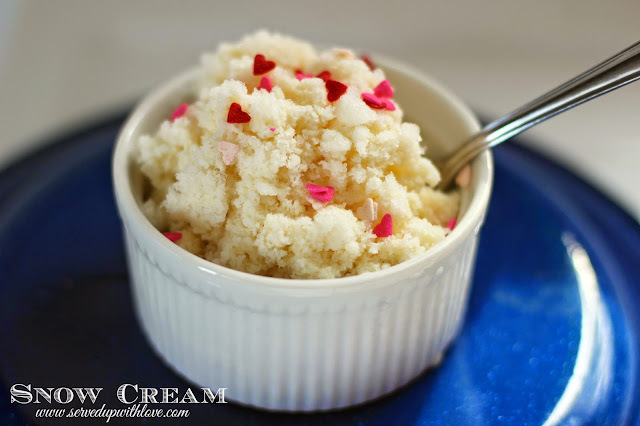 Place the snow in a bowl, add the sweetened condensed milk and vanilla and stir. I added some sprinkles to make it fun. Enjoy!